The temporary metallic tattoos have been one of this year's most sought after accessories and have grown in popularity after the likes of Beyonce and Rosie Huntington-Whitely were spotted wearing them. 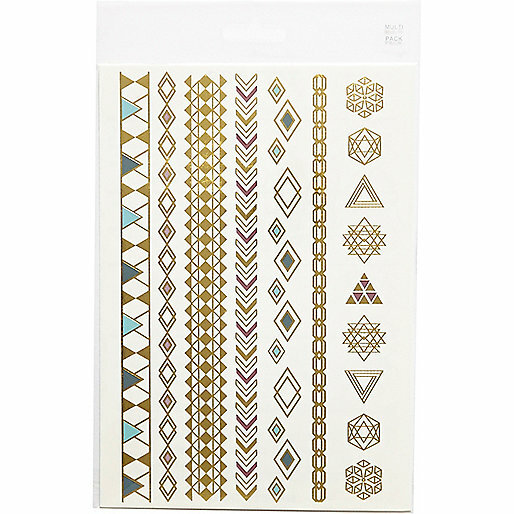 For me, they are very reminiscent of the free temporary tattoos that came in sweet packets. They are in high demand and luckily there are a number of online outlets and stores that stock them to cater for the demand. 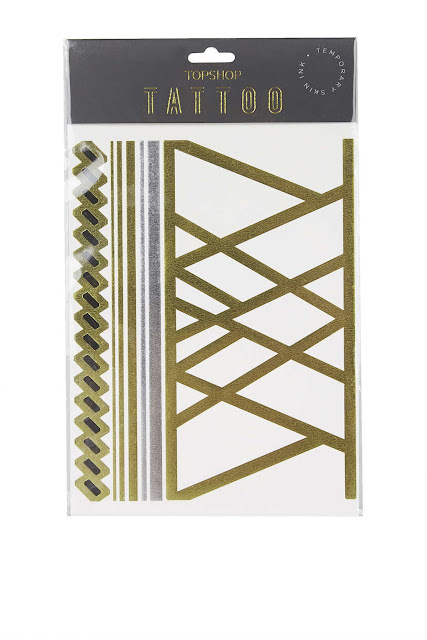 A few of the online outlets stocking the temporary metallic tattoos areEtsy.com, River Island and Topshop and they all offer different designs and patterns so theres a large pool to choose from. 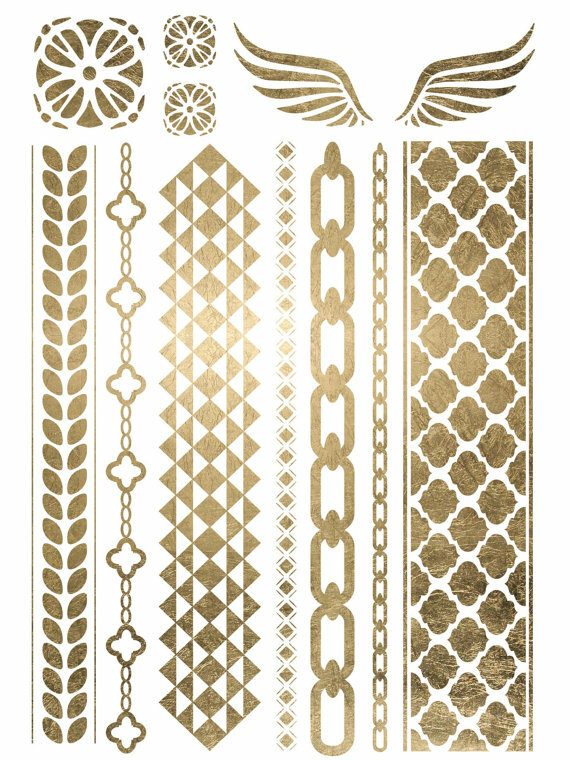 I also love that you can customise the length and wear temporary metallic tattoos on any body part whether it be on your thighs, arms, wrists or ankles. 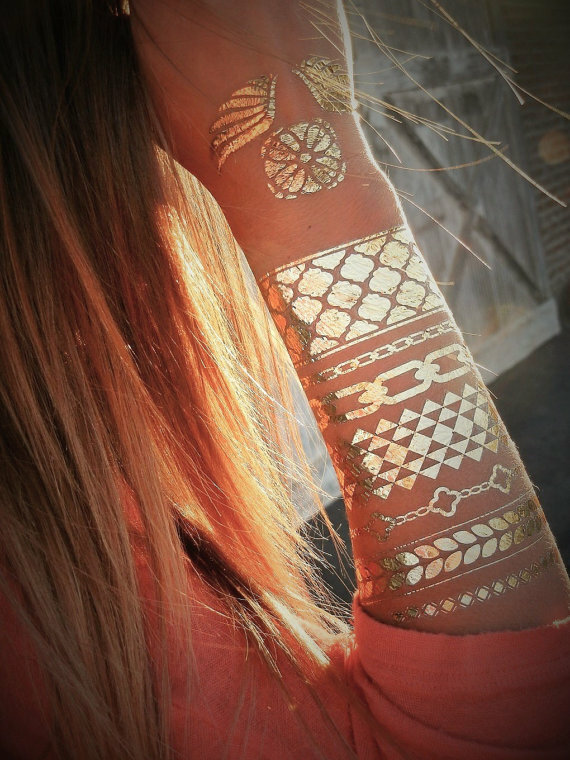 Essentially the temporary metallic tattoos can be worn as inexpensive jewellery to accessorise your outfit. 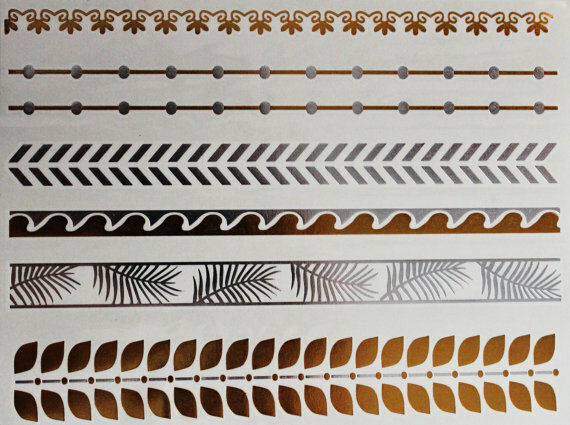 You can check out some of the temporary designs online below.